Welcome on the site d’Art et Lumière. Art et Lumière is situated in the Tulipestreet in Bruxelles. The house was founded in 1927. 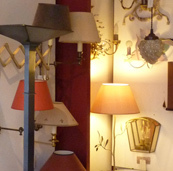 The shop offers the sale of all types of lightening. 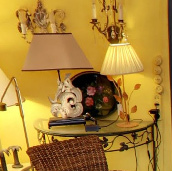 We have a fabrication shop where you can customize your lampshades and where we restore all your lights. A choice in the store that you will not find anywhere else : colors, tissues, materials, everything is made according to your wishes, to harmonize your lights with your interior. Come visit us in the shop, open Tuesday to Friday : 10:00 a.m. to 6:00 p.m and Saturday : 10:00 a.m. to 1 p.m. Parking is available.